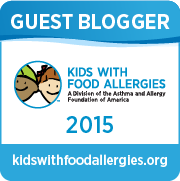 Do you love NEW allergy friendly foods as much as we do? I KNOW you do! 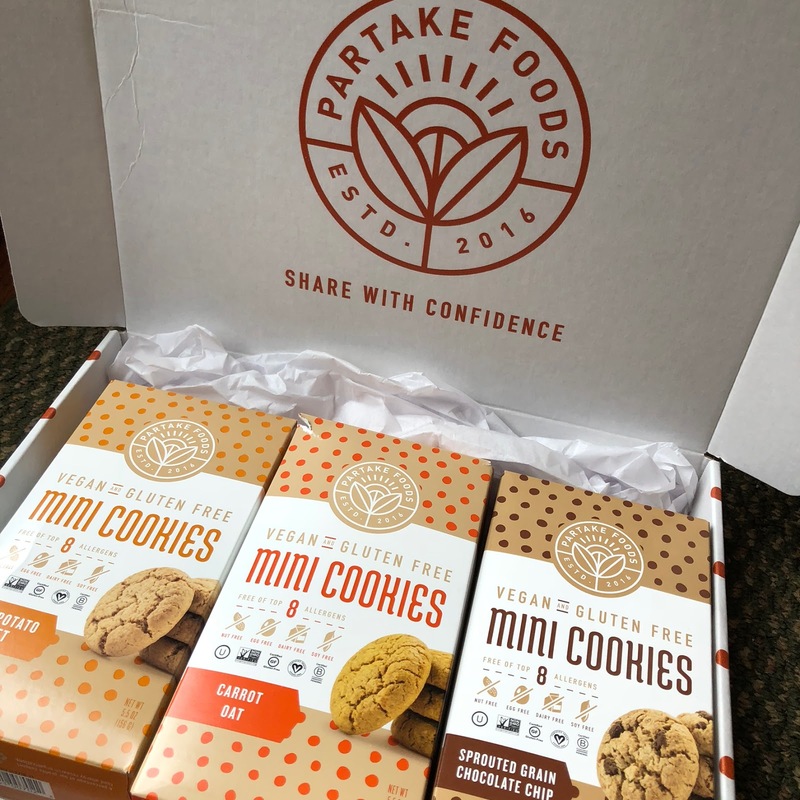 We were very excited to try out these vegan, gluten free and allergy-friendly cookies from a new company, Partake Foods. The company was started by a food-allergy mom...just like many of you reading this right now! Denise kindly sent us 3 different kinds of cookies to try. They're great! 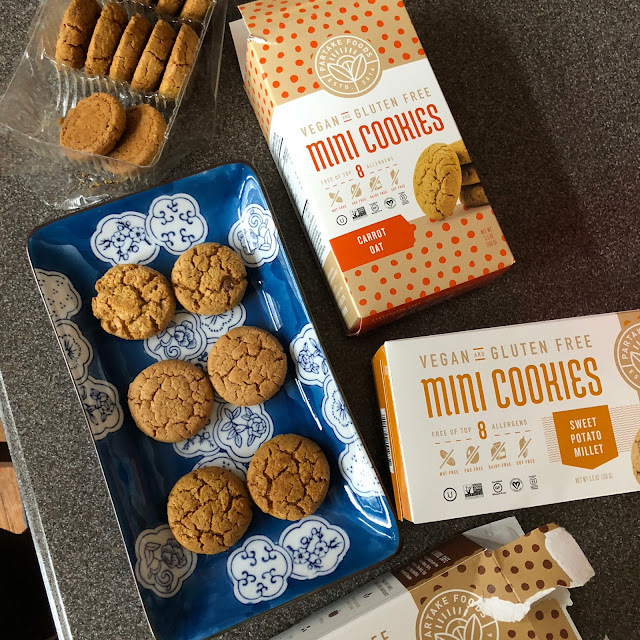 They're crunchy and totally satisfied our cookie craving :) They're also delicious with a cup of a tea (or perfectly crunchy for dunking in soymilk or hot chocolate for the kiddos!). AND they're free from the top 8 allergens, plus sesame (for Little Guy). What a find! Our favorite was the Sprouted Grain Chocolate Chip, but we also loved trying the Sweet Potato Millet and Carrot Oat. 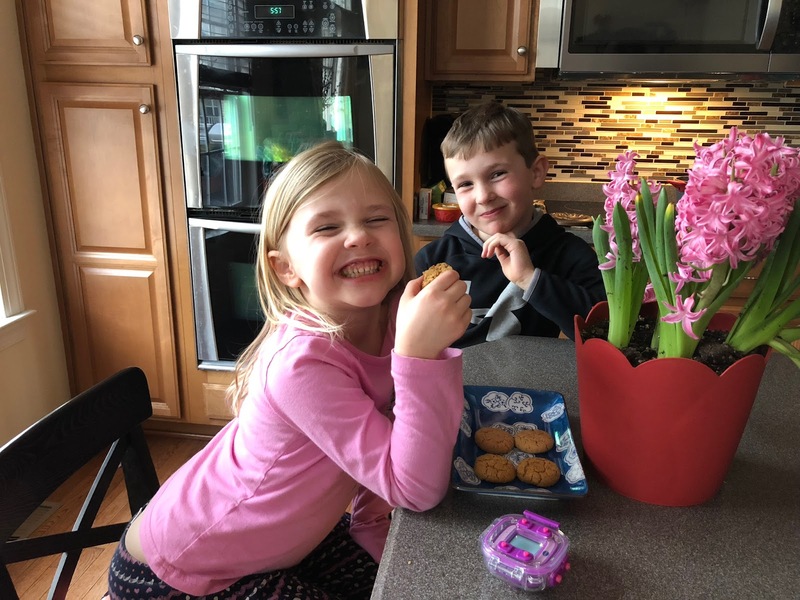 These cookies are also a treat that you don't feel bad about feeding your kids since they're made with wholesome ingredients! Just check out the smiles of these taste testers. Not a bad job right? Thanks to Partake Foods for sending us these cookies to try! They were delicious!